Listen to "Bibliotech: Why Libraries Matter More Than Ever in the Age of Google" on your iOS and Android device. 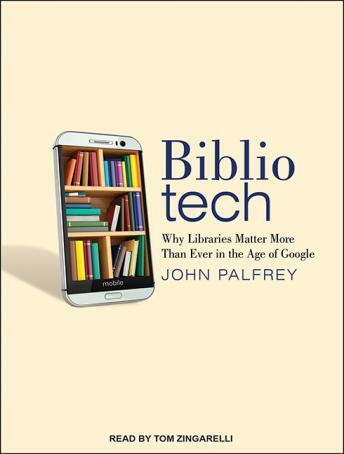 In BiblioTech, educator and technology expert John Palfrey argues that anyone seeking to participate in the 21st century needs to understand how to find and use the vast stores of information available online. And libraries, which play a crucial role in making these skills and information available, are at risk. In order to survive our rapidly modernizing world and dwindling government funding, libraries must make the transition to a digital future as soon as possible-by digitizing print material and ensuring that born-digital material is publicly available online.